Memphis Business Group on Health is proud to be the Leapfrog Regional Roll-Out for Memphis and West Tennessee and to serve as Vice Chair of the Leapfrog Board of Directors. We are excited to see that public reporting of hospital acquired infections is resulting in improved care for patients. MBGH has been working with our Memphis hospitals to report this information since 2009. Thank you to these hospitals for being willing to report and for focusing on improvement. Memphis area results can be seen at http://www.leapfroggroup.org/cp?frmbmd=cp_listings&find_by=zip&zip=38120&radius=100&cols=oa. From The Leapfrog Group: October 19, 2011 – Today, as the Centers for Disease Control and Prevention (CDC) announced that hospitals and other health care facilities are doing a better job of preventing four common infections, The Leapfrog Group’s CEO, Leah Binder, pointed to the importance of transparency and public reporting in helping to reach this outcome. A hospital’s full safety and quality results from the 2011 Leapfrog Hospital Survey can be viewed at www.leapfroggroup.org/cp. In addition to hospital rates of central-line associated blood stream infections, visitors can also find information, by hospital, on rates of other hospital-acquired conditions, survival rates for certain high-risk surgeries, rates of early elective deliveries, and much more information about a hospital’s safety and quality. 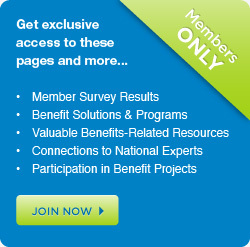 The Leapfrog Group (www.leapfroggroup.org) is a coalition of public and private purchasers of employee health benefits founded a decade ago to work for improvements in health care safety, quality, and affordability. Leapfrog purchaser members use hospital survey results in contracting, open enrollment with their employees and other public reporting, benefits design, and value-based purchasing programs.